From the offset the song lays out a certain mellow aura, thoughtful and quietly expressive. 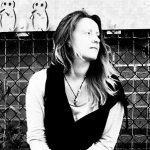 Production-wise there’s a simplicity to the whole thing, the set-up is calm and partly organic – the guitar sound and the vocal fragments that introduce the song sound beautiful and create an easily welcoming mood. When the verses begin, the sudden quickness of that vocal pace is a little unexpected. The performance is almost whispered to the listener, seeming distant within the mix and making the lyrics take something of a backseat as the general rhythm and groove of the music and the melody drive. By the time the hook section comes into play there’s been a significant development in terms of how things evolve and progress. Certain lyrics start to stand out, and you begin to gather a clearer understanding of the whole thing. As the artwork implies, the song feels like a very personal letter to a significant other. Though there are deeper meanings to the piece in terms of the artist’s intention, it’s possible that this could be taken on by the listener in any number of ways. That vocal delicacy actually seems quite appropriate as you start to collect the various lyrics and paint a clearer picture in your mind. Considering the calm ambiance of the music, the density of lyrics builds a rather stark contrast. Creatively this sort of opposition can often be what gives a song its identity. In this case, there’s a definite thread of personality to the release that makes it easy to recognise after having experienced it even just once. Furthermore, that personal touch, the honesty and realness that pours through, is always worth appreciating. Music fans can feel involved in something genuine, truthful – and this makes all the difference. 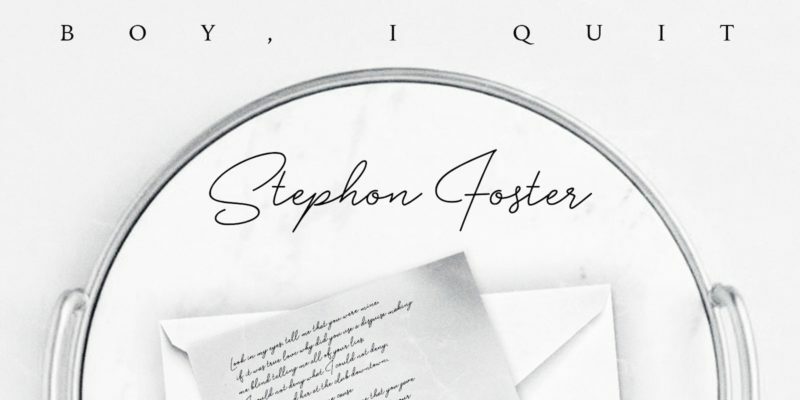 An emotional return to the scene for Stephon Foster and hopefully a sign of positive steps and much more music to come. Stream the single on Spotify or YouTube.